Fans better get ready for more Digimon Fusion than ever! For my first month as a Brand-Bassador for Saban Brands, I received an exclusive Digimon Fusion themed package in celebration of the new season of the Digimon franchise’s sixth instalment. 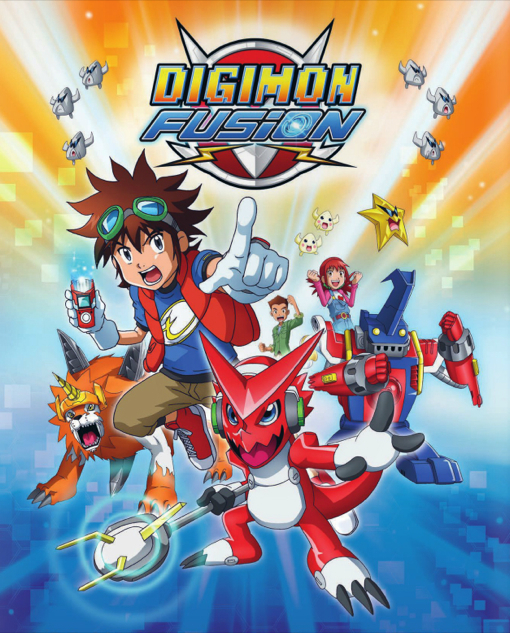 Digimon Fusion which debuted in the fall of 2013 on Nickelodeon and Nicktoons, follows Mickey, a human boy. He is transported into the digital world and must team up with his new “Digmon” or “Digital Monster” friends to defeat evil once and for all. New fusion powers allow Digimon to combine and fuse, creating endless battle possibilities. This year the show will be available on two networks. Digimon Fusion joins the Vortexx on The CW lineup, airing every Saturday at 10:30Am EST/PST. Additionally, new episodes of the series return to Nicktoons Monday, Feb. 17, with an all-day marathon followed by TWO brand-new episodes at 9:00 p.m. EST. The series will continue in its regular timeslot, with new weekly episodes starting Sunday, Feb. 23, at 11:30 a.m. EST on Nicktoons. In Canada, the premiere episode will air on YTV on February 28th at 7:30am. I also received an exclusive look at the new Digifusion figures, which allow kids to replicate the DigiFusions that Mickey creates in the series. Kids are able to fuse multiple figures together because of the ball and socket construction system of the figurines. 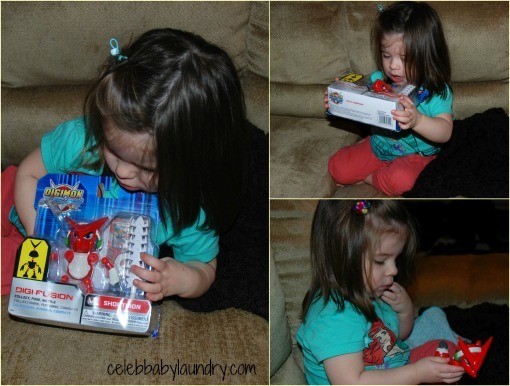 My daughter, Ava who is usually into princesses enjoyed taking apart and putting together the Shoutmon character figure. Older kids can digitize their playtime with the touch through technology card. When placed on the Fusion Loader app for smartphones or tablets children will touch a sequence of numbers on the card which will then activate the loader to call out the Digimon character on the card. The DigiFusion characters hit stores mid-Feburary (just in time for the new season) at Toys “R” Us, Walmart, Target and Amazon.com. Figures retail for $8.99. To learn more visit the Digimon Fusion website. You can also visit the show’s Facebook, Twitter, YouTube and Instagram to stay updated on future news! Disclosure: I am part of the Saban Brand-Bassador program. I receive special perks as part of my affiliation with this group. The opinions on this blog are my own.